We all have that cosy chair that we love at home, and there’s nothing better than coming back to it at the end of a hard day’s work and relaxing. What if you could have that level of comfort WHILE you’re going about your duties at your job? If you work in an industry that requires long hours seated in a vehicle, such as in transport, agriculture or construction you’ll know that an uncomfortable vehicle seat can be a huge annoyance. 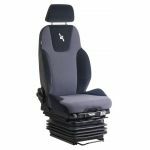 At Seat Shop Australia, we supply quality seating and seating parts for a range of vehicles and purposes. Long periods of time seated in a vehicle while working can feel like something of a prison, and if you don’t consider installing the correct equipment, you could be doing damage to yourself. If you have a fleet of vehicles and employ others to operate them, comfortable seating will improve morale and therefore productivity across the board. If you require a seat fitted, we can do it in our workshop or we can come to you. Our highly experienced team provides a prompt and professional fitting, with customer service being our top priority. You’ll never regret upgrading your vehicle seating with Seat Shop Australia! 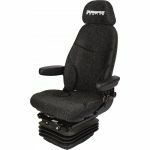 If you’ve been wondering where you can find forklift seats for sale to improve your vehicle’s features, look no further. 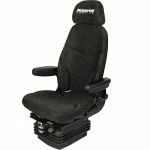 Whether you need seating for your truck, tractor or forklift, at Seat Shop Australia, we have you covered. If you require more information on our products or services, don’t hesitate to give us a call, or have a look at our FAQs. Get your improved vehicle seating with us and reap the benefits today!